Is there any better feeling than crossing something off your To Do list? Big or small, completing any assignment will give you a sense of accomplishment and satisfaction, which, in turn, will motivate you to keep plowing through the list. I actually know someone whose first item on any to do list is “make list” so that she can scratch it off immediately. Yes, I’m embarrassed for her. Some tasks, unfortunately, are not completed or deleted that easily. You know, those pain-in-the-neck projects that you dread the most – the ones that never seem to get done…we all have a task or two that’s taken up permanent residence on our To Do list. It’s like the party guest who just won’t leave, who you’d hide in the coat closet to avoid talking to. Peek out from behind the parkas, and sure enough, he’s still there, double dipping his chips and boring everyone to tears. Shine A Light – What is it about the job you’ve been avoiding that has made it so unapproachable? Maybe it’s something you don’t like to do, or maybe you just don’t know how to get started. Taking a closer look at the task and seeing it for what it really is will make it less daunting…and if you don’t know how to get started, ask a friend for help, hire a Virtual Assistant, check out the GTD method – but EXAMINE it. Break it down – Usually it’s the sheer size of a job that makes it hard for us to roll up our sleeves and dig in. If what you need to do seems insurmountable, start by breaking it down into digestible bites. “Build my website” will turn into “Buy my domain; Plan my pages; Outline my copy; Find photography…”. Suddenly a giant beast of a job has turned into several smaller projects that you can take on (or outsource to your Virtual Assistant!) one at a time. Set a deadline – When you work for yourself and there’s no one telling you what to do, staying motivated can be tough. You’ll always be more gung-ho when it comes to your revenue generating activity but the multitude of operational and administrative tasks need to get done too. 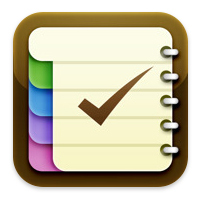 Set a deadline for each job on your list and schedule your time accordingly. If you find you’re consistently missing your deadlines because there just aren’t enough hours in the day, then consider enlisting some part-time VA help to help you stick to your schedule. Create a reward – Would you be more inclined to get to that project you’ve been putting off if you knew that there was a great pick-me-up waiting at the finish line? Like the lollipop the doctor gives your 4-year-old after a shot, you can motivate yourself to muscle through almost anything if there’s a sweet treat waiting for you on the other side! Delegate, delegate, delegate! – When you’re running a business you have to wear a hundred different hats. You’re the salesman, the copywriter, the in-house techie, the product developer, the receptionist, the file clerk…and everything in between. Everything has to get done, but it’s just crazy to think you have to do it all yourself. A modern entrepreneur’s best resource these days is the Virtual Assistant. Hiring a Virtual Assistant one can be more affordable than you might think, and it will allow you to clear your plate of all the administrative tasks that can make you forget why you got into business in the first place. Focus on the things you love to do, and let a Virtual Assistant do for your business what they do best…and you’ll be burning through those To Dos in record time!